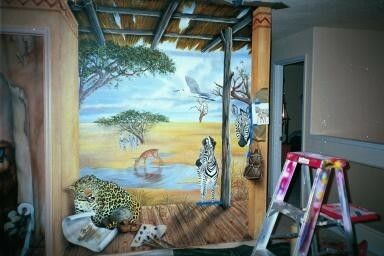 Recap..."The Witness To The Crime"
Only the Baby Zebra knows what really happen, to the artist and during the painting of this mural. 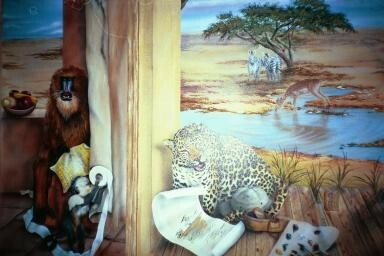 The Leopard, Licking his lips...poor us. 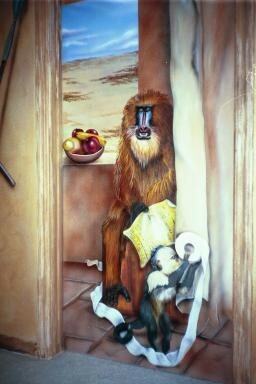 The resident Mandrill caught on the "john" reading the paper...and that little stinker stealing his T. P.
The conviently placed bowl of fruit to hide the door knob. 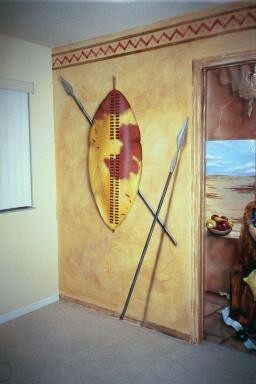 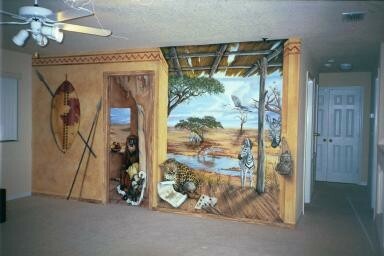 And the Trompe L'Oeil Zula shield and spear against the wall.